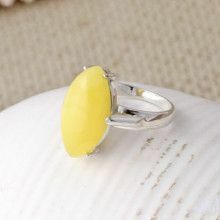 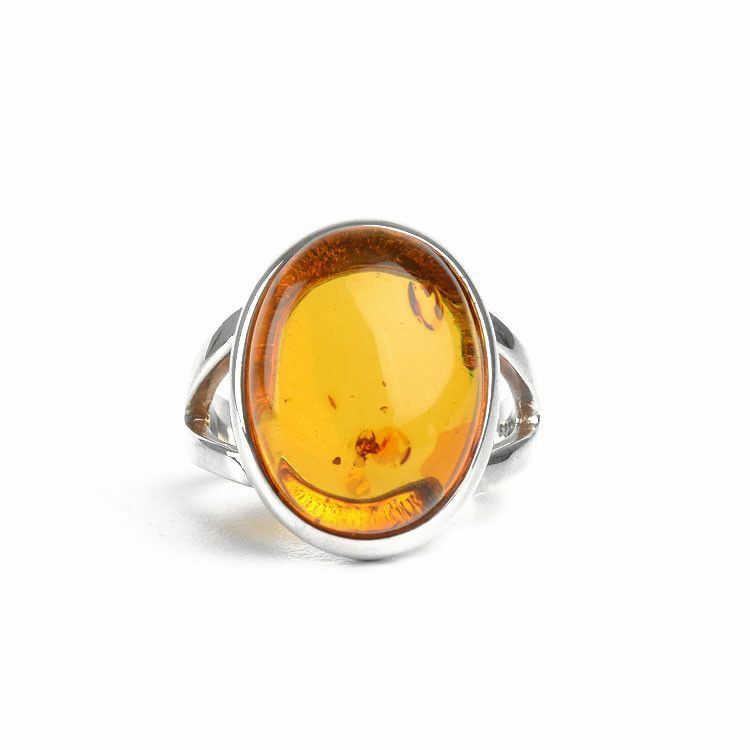 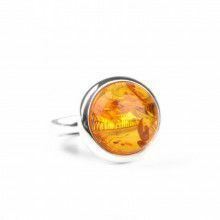 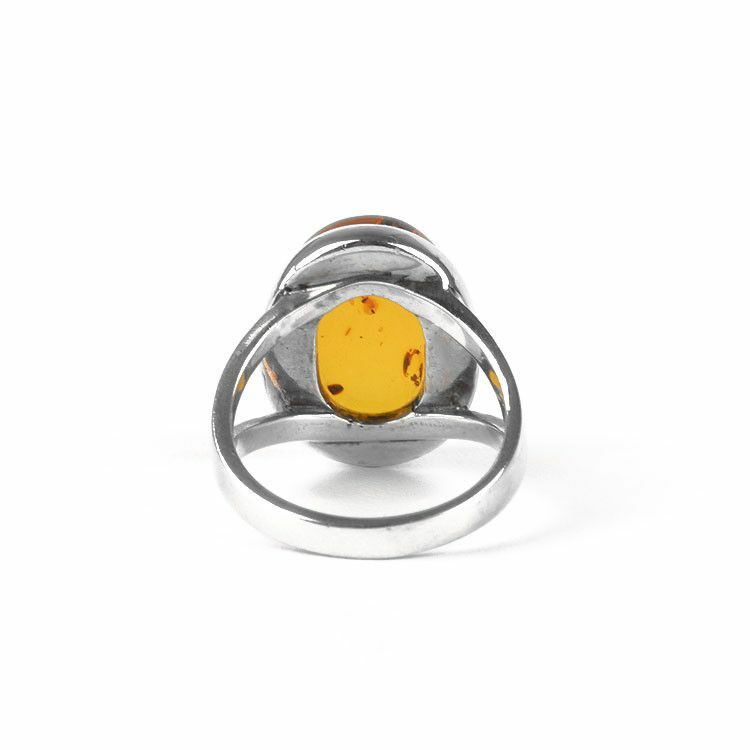 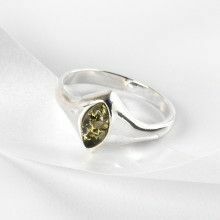 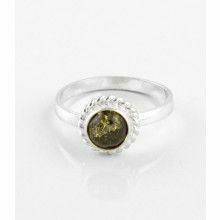 This sterling silver ring features one real amber cabochon that "glows" beautifully. 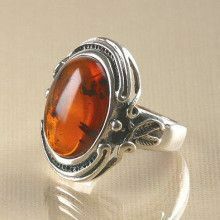 The cabochon is about 11/16" long and 1/2" wide. 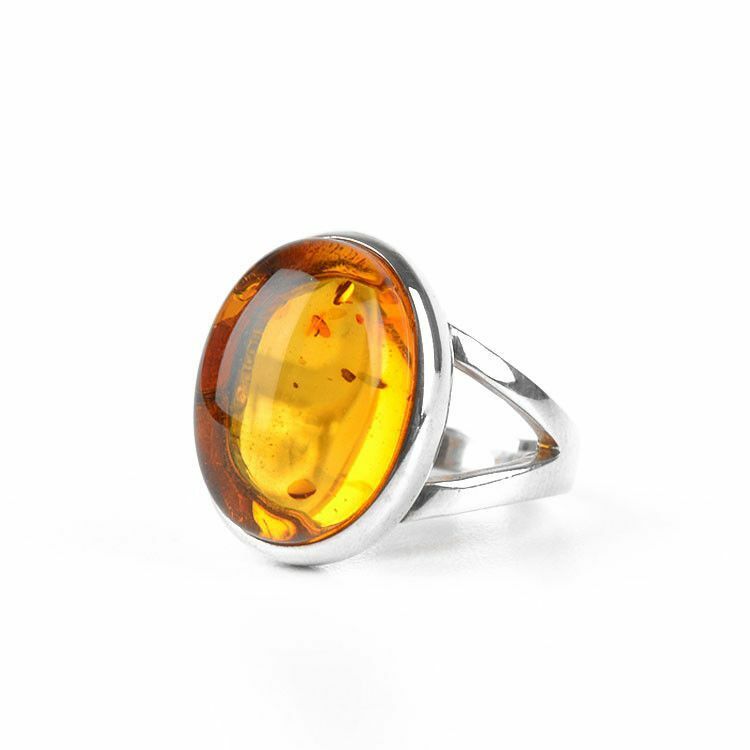 This is an excellent honey amber ring for nearly anyone because of its simple, bold, and classic design.